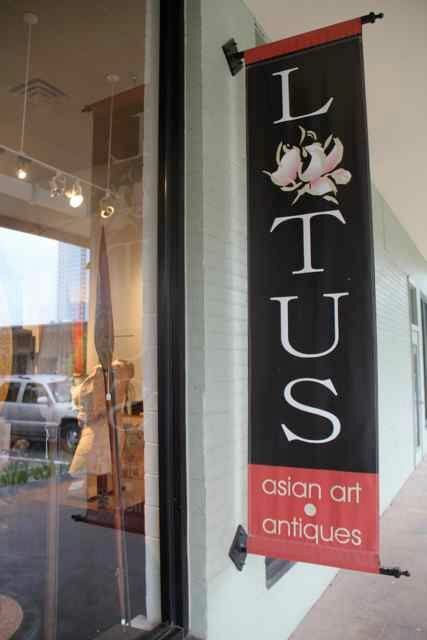 Lotus Gallery is 10 years old in Austin! Lotus Gallery celebrates their 10 year anniversary in Austin, TX. Lotus Gallery was started by Francisca Tung in 2001 after a career in hi-tech in California. She made a career switch and decided to share what she was really passionate about: one of a kind creations and antiques from Asia. Francisca already had a large collection so se didn’t have to buy much. Francisca loves to travel and learn about cultures and she now also has items from Africa and European Continental pieces. Francisca is one of my favorite people and Lotus Gallery one of my favorite places. I recently stopped in and she shared with me six of her favorite pieces. 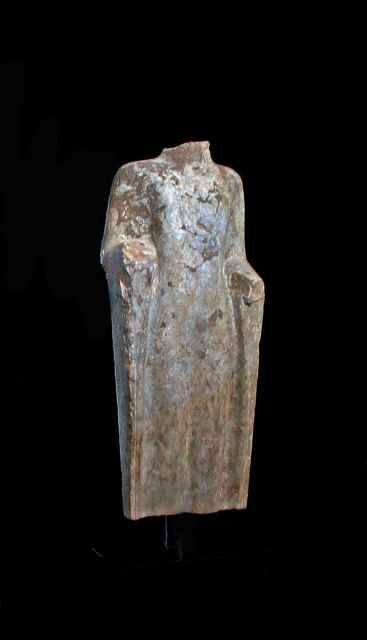 She loves sculpture and especially this 6 c. Buddha bust from China. It’s the simplicity of this one that she really loves. It is made of limestone and was found on the ground so you can see markings from the roots of a tree. #2. The loves and shares contemporary pieces as well. This pottery “stone” box was made by a Japanese sculptor, Kenji Gomi, in 1956. The box actually opens. The loves the texture and simplicity. #3. 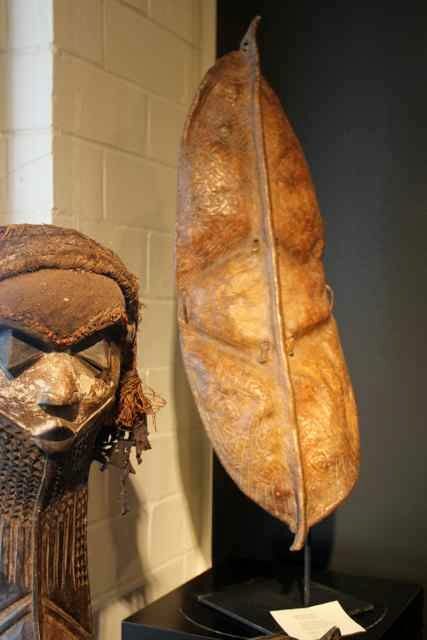 Tribal pieces like this shield made from buffalo leather in the form of a leaf. Konso Tribe of Ethiopia, early 20th c.
#4 Scholar Stone. Abstract sculptures that would sit on a scholar’s desk. A scholar would gaze at it to ignite their imagination. This one is from China, late Taihu period. #5. 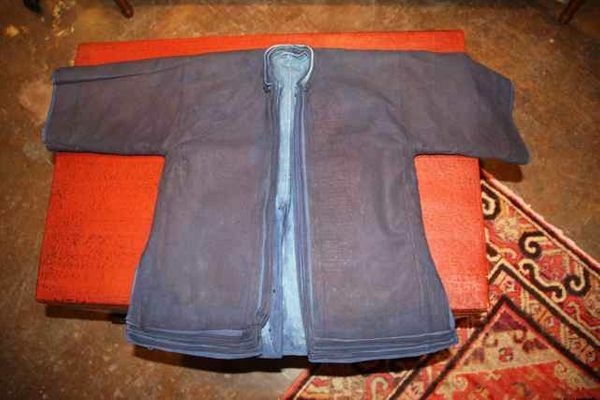 Children’s jacket (boy). Made by the Hani tribe in SW Chinese mountains. Composed of many layers (the number would show their status in society). 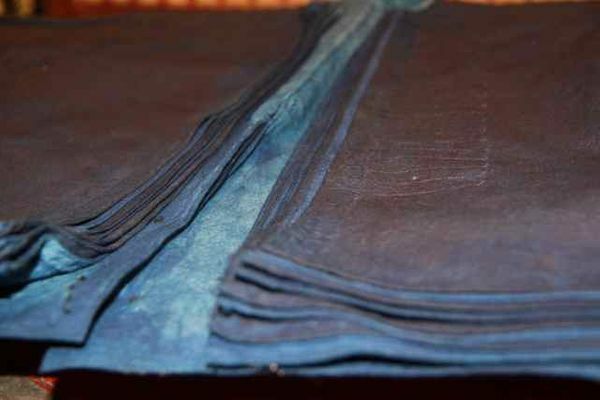 Indigo dyed and handstitched, then dipped into layers of oxblood and egg which made it water proof and dirt resistant. These are no longer made because they are no longer worn. #6. 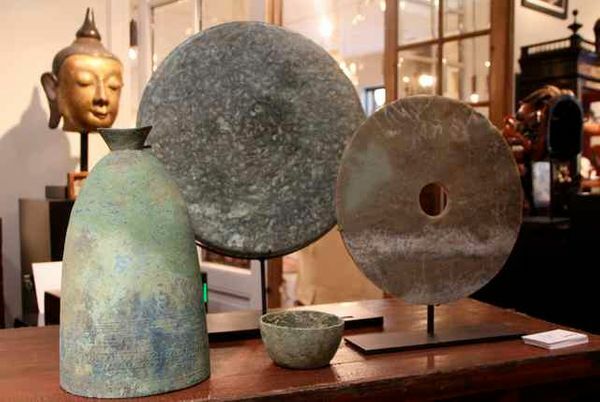 Dongson Bronzes from Cambodia and Vietnam that are 3000 years old. These were difficult to make because the walls of the bronze is so thin and it is still a mystery how they were created. Francisca loves the simple shape and oxidation from time. Thank you for sharing your treasures Franscisca. She has an incredible eye, authentic choices, and really fair prices for these one of a kind treats. She is located in Austin TX, and does shows in San Francisco, Santa Monica, New York, Brussels, London, Santa Fe and even one in Dubai.